Wow it has been 2016 for nine days now and this my first post of the year…well to be honest that’s how long my hangover and upset stomach lasted…the fact that I bought a play station 4 didn’t really help speeding up my will to sit behind the PC and greet you my dear readers/customers..but my heart and thoughts were with you the whole time. 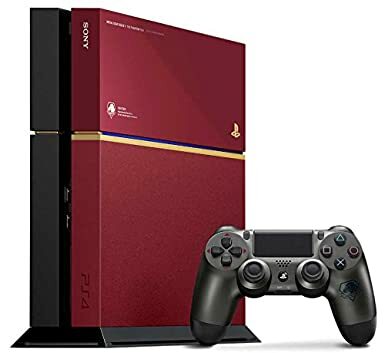 PlayStation 4 METAL GEAR SOLID V LIMITED PACK THE PHANTOM PAIN EDITION, expensive yeah, but you didn’t think I’d get myself an ordinary one..now did you? For those folks who have no idea how the Japanese celebrate each year’s “baton touch” (japanglish..meaning take over the job), let me give you a short description..after all the PS4 is calling my name. On new year’s eve, most folks sit around the TV watching boxing(it used to be K1…), silly variety shows full of Yoshimoto(the biggest comedy talent agency), with the best watched being a show called waratte ikenai (you’re not allowed to laugh), which my three sons aged 6, 8 and 11 love…which kinda explains the target audience.. When it’s twelve o’clock don’t expect any special celebrations like fireworks, no we wish each other an Akemashite omedetou( ou is pronounced as oo for the Dutch readers), and some might brace the cold and head up to the nearest shrine (Temples are rarely visited during festivities) to perform a season’s first prayer…others go to bed and wait till the next day…expect a lot of climbing and waiting if you want to experience this. New year’s day is when the families come together for celebrations, kind of like Christmas in other countries, they have a meal mostly consisting out of shabu shabu or sukiyaki, sushi and other delicacies. I’m sure each family has their own traditions, but these are the basics..so for those who do expect a huge celebration during new year’s eve…well don’t. Back to reality..the hangover has worn off, and new requests have been received, so let’s see what’s new. Yep that’s a Kitty with attitude, this Mazinger Z inspired robot kitty is now up for pre-order from January 6 till January 24. It’s about 105mm in height and weighs 400 grams(chubby kitty). It’s made out of die-cast and ABS with delivery scheduled for late may. The little Kitty figure is included. Wow if that isn’t the cutest robot…you wonder how Optimus Prime would react if he’d encounter this robot. Now it’s yours to have for a mere 8,424 yen as pre-order. As usual Sanrio doesn’t accept foreign issued credit cards so you’re stuck with us…but that’s no punishment because we give you the points too!